Paul Baepler serves as a Research Fellow in the Center for Educational Innovation (CEI) at the University of Minnesota. His role is to investigate the efficacy of educational innovations in the classroom and elsewhere in higher education. Paul earned his Ph.D. in American literature and his book, White Slaves, African Masters, (U of Chicago Press, 1999) explores the little-known Barbary captivity narrative. His work has appeared in a variety of journals including Computers and Education, the Journal of College Science Teaching, EDUCAUSE Quarterly, the Journal of Faculty Development, and The New England Quarterly. 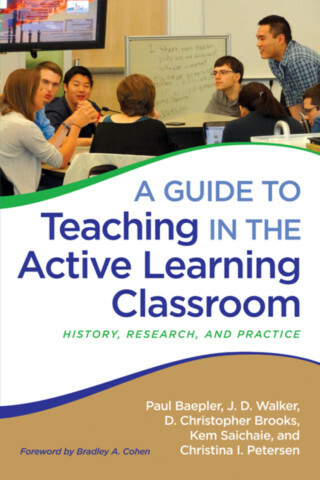 Along with Brooks and Walker of this volume, he co-edited the Active Learning Spaces volume (#137) of New Directions for Teaching and Learning. Previously at the University, he worked at the Center for Teaching and Learning and the Digital Media Center; and he is the faculty director for test preparation in the College of Continuing Education.